More help needed for Merchistoun Hall’s Summer Fayre. Weorod are a small, independent group of Historical Re-enactors who specialise in providing Living History and Re-enactment displays. Based in Portsmouth, Southern Hampshire they recreate one of the most decisive eras in the history of Britain, the Early Medieval or Dark Age period. They portray the lives of the early Jutish settlers of the Migration Period, through the 6th and 7th Centuries (520-680 AD). Only the correct costume and other equipment are displayed before the public to provide an accurate representation of what early medieval life may have looked like. 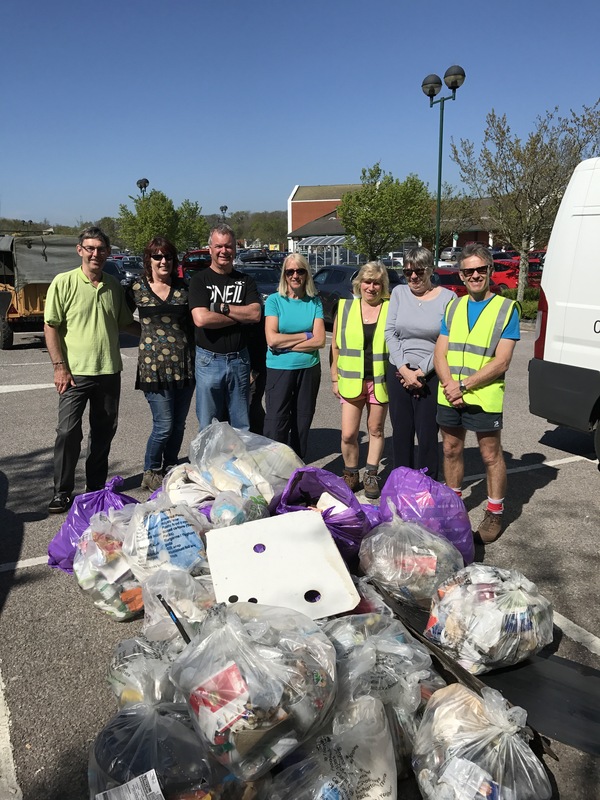 The next Horndean and Clanfield Litter Pick is Sunday 21st May meeting at Morrisons at 9:30 in the far right corner of the car park. All are welcome and pick tools, bags, gloves are provided and the bags taken away by EHDC afterwards. Please feel free to come and join us for 2 hours activity! For those who voted today in the County Council elections – thank you for taking the time to go out and vote, whoever you supported. If you have not yet there is still a few hours voting time left! The Prime Minister’s announcement today is absolutely the right decision in the national interest because it allows voters to make the choice between stability and certainty as we leave the EU or instability and chaos at the hands of a coalition of Labour, the Lib Dems and the SNP. These parties are only interested in reversing the referendum result or weakening our negotiating hand so there is no strong deal when we leave the EU. It will also allow the Government a new mandate at the same time as there are newly elected leaders in France and Germany and this could prove very helpful in the months to come. Finally we are running our own local pre-election poll to see how Horndean will contribute to the national picture. The poll is below, you can only vote once and for one option. when you have voted you will see how the local community is intending to vote.